HOLTON – Like most years, the Holton softball team is one of the best in the area, and perhaps the state. The state rankings sure suggest that, with the Red Devils currently ranked No. 4 in Division 4. But the Hesperia program has come a long way, as well. And whenever the two neighboring rivals meet, there is bound to be some close competition. 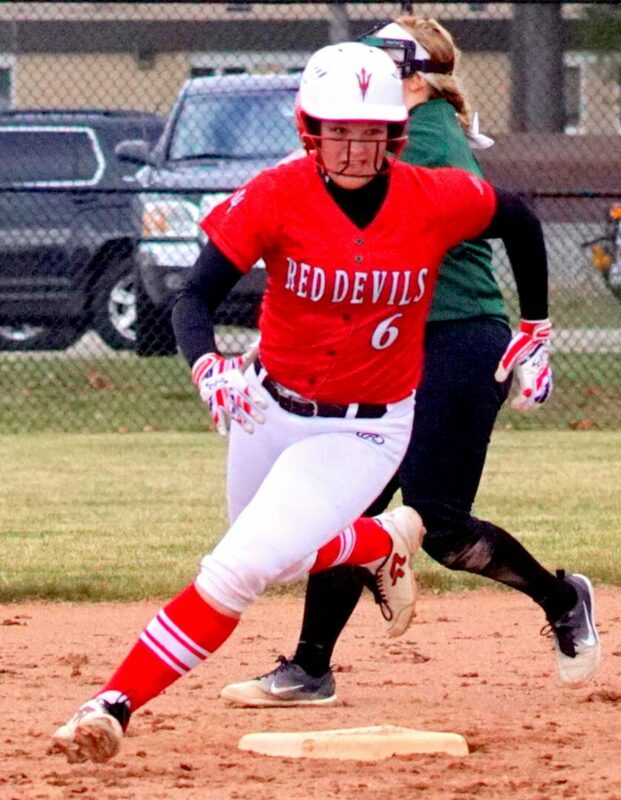 That was the case in Game 1 of a CSAA Silver Division doubleheader on Monday, when the Red Devils had to come from behind to defeat Hesperia 5-4. Holton had an easier time in the second game, winning 14-4. The Hesperia batters came out swinging in Game 1. 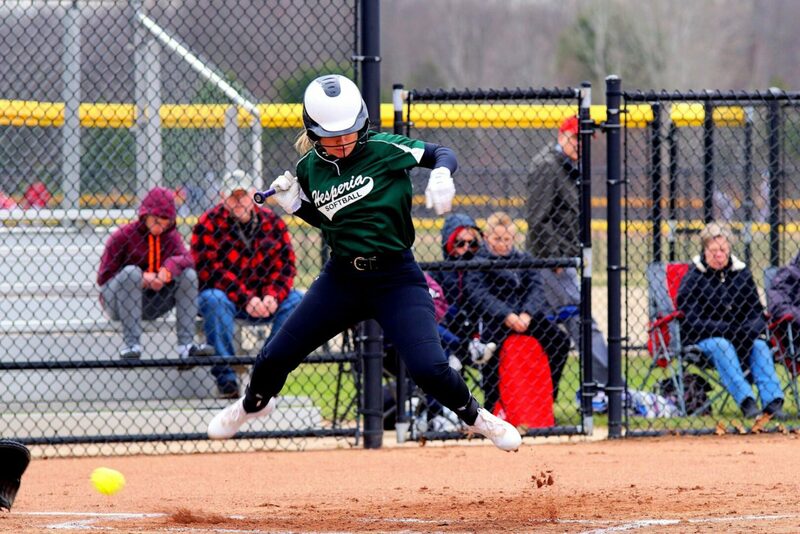 The Panthers collected RBI hits from Alyssa Miller and Lynsey Tinkham in the first inning, and another run scored off a Holton error. The Panthers led 3-0 after the top of the first. The Red Devils responded by taking advantage of a few Panthers errors in the bottom of the first, narrowing the score to 3-2. 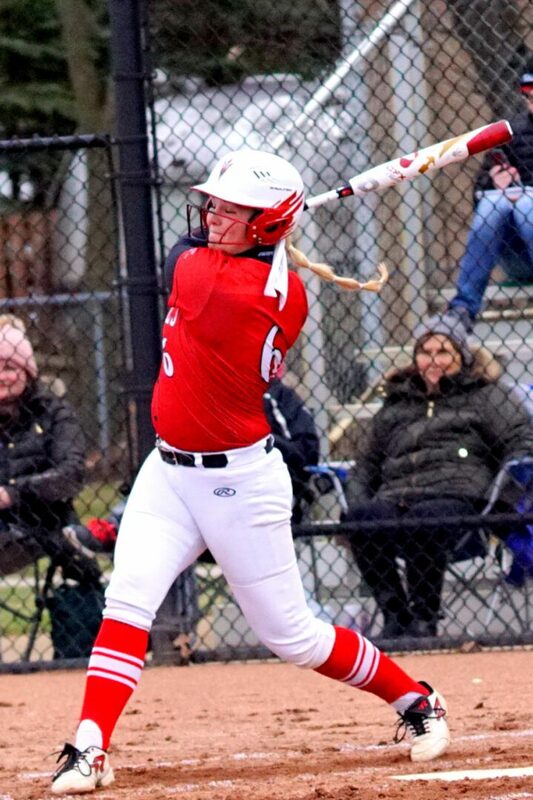 In the bottom of the third, Haylee Brant and Maddie Bossett each drove in a run, with an error from the Panther outfield accounting for the other run, and the Red Devils took a 5-3 lead into the fourth. Hesperia plated one more run in the sixth, but couldn’t get an equalizer. 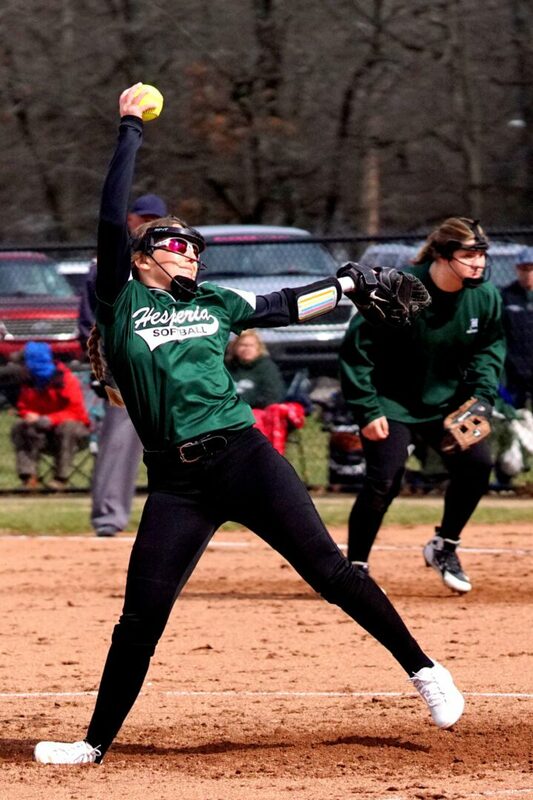 Pitcher Kylie Gould was stellar for the Red Devils after getting roughed up in the first, allowing just one earned run on two hits and striking out seven in the final six innings. Game 2 was all Red Devils from the start, as they jumped out to a 9-3 lead after the second inning. Holton tacked on four more runs in the fourth and fifth innings to take a 14-4 lead and end the game on the mercy rule. 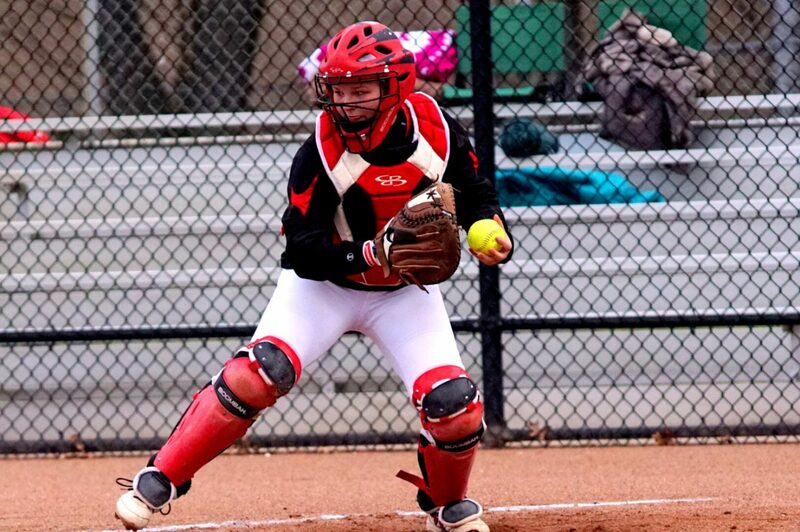 Bossett and Gianna Reed each drove in three runs for the Red Devils. Brant allowed one earned run in five innings on the mound while striking out three. Hesperia’s Tinkham and Daelyn McKinnon each drove in a run for the Panthers in Game 2. Holton improved to 4-0 on the year while Hesperia fell to 1-3.